Attach a lead to the front ring to help prevent pulling. 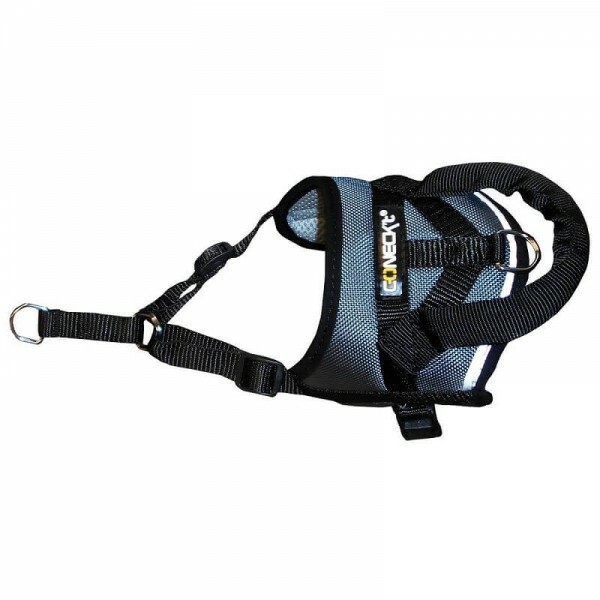 Attach to the back to use as a conventional harness. Use both attachment rings for extra security. Anti pulling - thanks to the strap located on the chest, immediate results without causing pain or discomfort. Useful - the d-ring on the back helps to transform the anti-pull harness into an active walking or jogging harness. 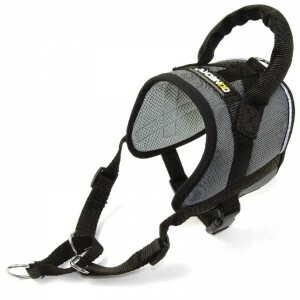 Comfortable - lightly padded the harness covers the back and covers the maintenance of the product on the dog. Safe - Dorsal handle allows an extra degree of safety when you need to closely control your dog quickly,or to stimulate dogs taking part in high energy activities. It has also been found to be soothing for anxious or stressed dogs. Reflective bands for increased visibility in low light. Large – Girth: 60-74cm (23-29″).